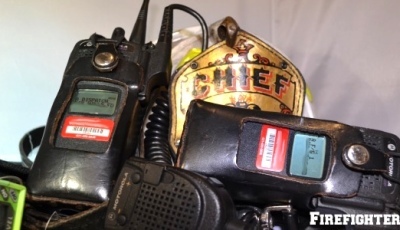 Effective fireground communication is an essential part of successful and safe operations. If we look at NIOSH reports detailing line of duty deaths we will see that a breakdown of communication is listed time and time again as a potential contributing factor. So, in an age where we push to have a radio with every member operating, how does our communication falter? To develop the answer we must look at the issue from many different angles. Technically this is said to be a vibrating object. For our purposes here it will be a member transmitting something over his/her portable radio. The medium here will be the actual signal leaving the member’s portable radio and traveling through the air. When the signal is transmitted, it is picked up by another radio (whether a mobile or another portable) and other members hear what comes out of the speaker. In essence we can relate this to the age-old question: “If a tree falls in the woods and no one is there to hear it, does it make a sound?” We all know that if a tree was to be blown over in a storm, it makes a crashing noise as it hits the ground. However, from a technical stand point, there is no sound if no one is there to hear it because it does not complete the above mentioned process. We are missing the listening device, in this case our ears. So why is this important? Most of what is broadcast across the radio at a fire is information that can be used by everyone operating. If a member is not listening to the radio or is operating in an area where it is not easily heard, what is the purpose of the transmission in the first place? Radio discipline on the part of every member is extremely important and should be a skill everyone is taught to recognize as well as master. The radio is never turned on. Although we like to think that this is a no-brainer and it never happens, I can tell you … yes, it does. The radio is on the wrong channel. Departments that have a channel for dispatch as well as for fireground operations must exercise discipline in having the radio on the correct channel. The member is wearing the radio incorrectly. Does the firefighter have the speaker/mic within easy reach where they can talk and listen easily? Is the radio in a spot where the antenna is not blocked? The radio is not charged. We must make sure our equipment is ready to go, portable radios included. Has the radio been placed back in the charger after its last use? Has the battery developed a memory and is losing its charge quickly? These are just some of the aspects that can be looked at before the microphone button is even pressed to make a transmission. In part two of this series we will look at the transmission itself. Please leave any thoughts you have on the topic in the comment section. Photos courtesy of Courtney Fling.